BEIJING--(BUSINESS WIRE)--VIPKID, the world’s largest online K12 English language learning company, today announced the launch of Lingo Bus, a new online learning platform for Chinese language education. Lingo Bus provides one-on-one personalized Chinese lessons for children ages 5 to 12. Students are matched with professionally trained teachers, who make the “world’s hardest language” easier and more enjoyable to learn. Lingo Bus uses full immersion to teach Chinese, a method favored by most professional language acquisition experts. To ensure educational quality, Lingo Bus implements rigorous selection standards for teachers. The platform requires instructors to possess teaching experience, degrees, or specializations in either international Chinese education or teaching Chinese as a foreign language. Since the launch of the product pilot in June 2017, Lingo Bus has hired 100 teachers to serve its first batch of Chinese learners. Over the next three years, Lingo Bus has ambitious plans to grow to 50,000 students, which will require at least 10,000 teachers to instruct them. 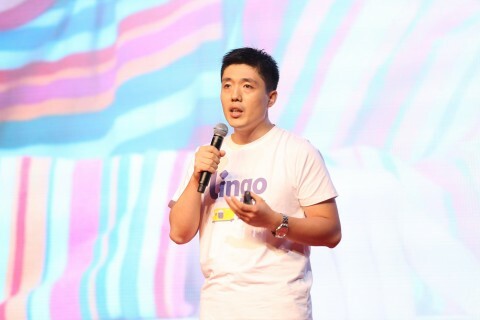 Additionally, as China’s presence on the global stage continues to increase, Lingo Bus hopes to be a pioneer in bringing China to the world and bringing the world to China. With the “Belt and Road Initiative” seeking to transform China’s role in the international community, Lingo Bus hopes to foster interest and accessibility of Chinese around the world. Lingo Bus’ ambitious goals stem from the success of its parent company VIPKID. VIPKID, founded in 2013, represents half of the market share for online K12 English language learning in China, currently teaching more than 200,000 students with over 20,000 teachers. Today, VIPKID announced its Series D funding of US $200 million, led by lead investor Sequoia Capital and strategic investor Tencent. Reporting a projected annual revenue of RMB 5 billion, VIPKID plans to leverage Lingo Bus to continue achieving success and impact in the global online education sector. For more information, please visit: www.lingobus.com and www.facebook.com/Chinese.Lingobus/.